A gift hamper containing four soultree products . The gift pack has a cute packaging , a small cylindrical box with four excellent products . 1.Soultree apricot oil & honey body butter. 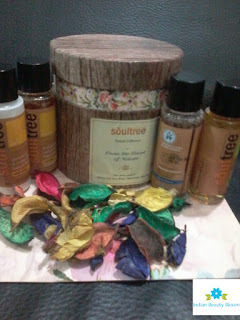 2.Soultree amla & Brahmi hair oil. 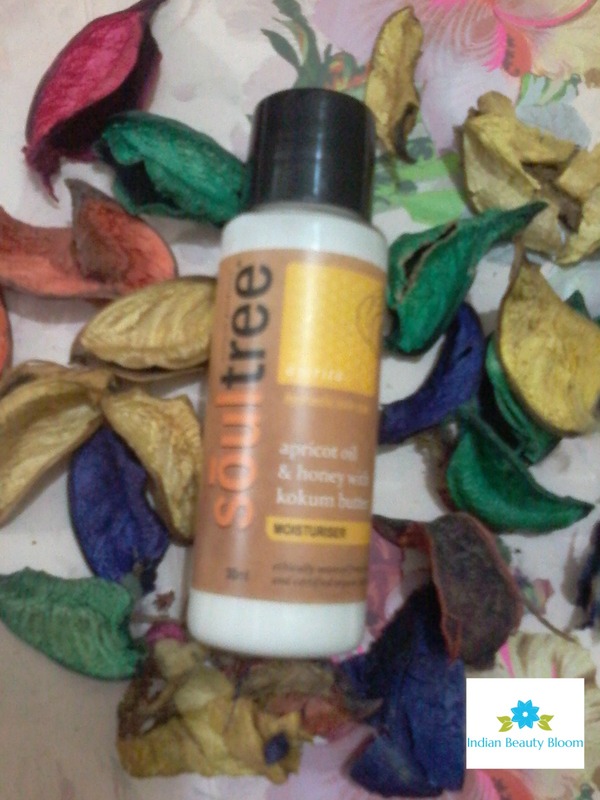 3.Soultree turmeric & Indian rose face wash .
4.Soultree Indian rose shower gel. Soultree products are natural products which are safe to use and are made from natural products like herbs , flowers , wild fruits . The best part is they do not contain any harsh chemicals like parabens, silicones ,sulphates etc . They use organic , non genetically modified ingredients . The price of products may seem bit higher but if we consider the fact that these are natural and safe products then its ok and good. 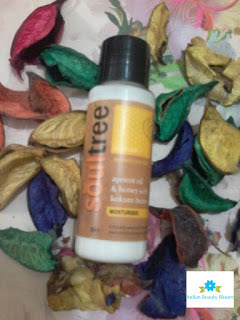 The first product from this range which I have used is Soultree apricot & honey Kokum butter . Its a type of moisturizer which contains glycerine , Kokum Butter . Its white in colour , can be easily applied on skin and gets absorbed quickly . Nourishes the skin and keeps it hydrated for a long period of time . Its non greasy lotion which is a blend of vitamin rich apricot oil and wild honey . It is also infused with Kokum Butter which is hydrating and makes the skin soft and supple. It can be applied on both body and face , but for people with oily skin it is not recommended to use on face . Its an excellent product for winters as we have dry skin problem in winter. This body butter moisturises the skin and keeps it hydrated for a long period of time with out that greasy feeling which we get in many body lotions . The best part is its a natural product , so safe on skin. That was a very detailed review, I'll surely try this collection from Soultree. Glad it lived up to the promise. Thanks , good that you liked my review. The mini set sounds great. Would love to try it.